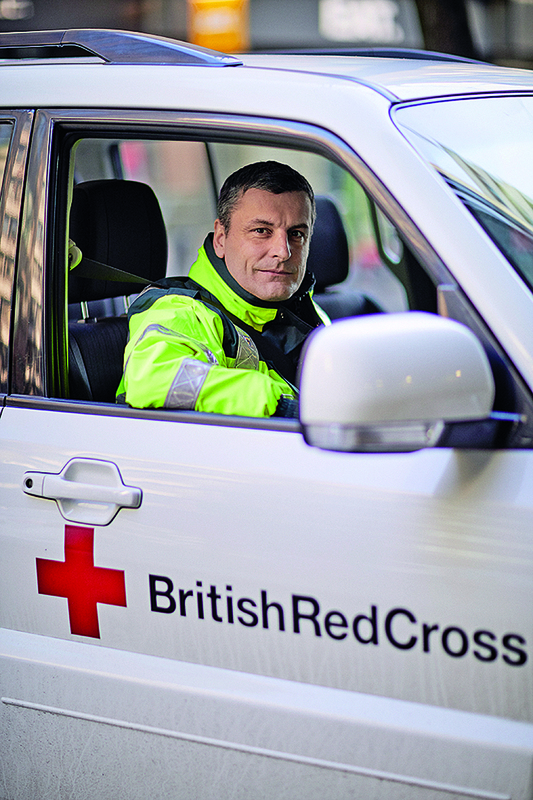 Emergency response volunteer, Jean Bourlot, starts his day by getting behind the wheel of a British Red Cross emergency response vehicle. He’s one of a team of volunteers on hand 24 hours a day, seven days a week to support local authorities and emergency services. This morning Jean is just back from filling the petrol tank to ensure that if he gets a call, he and his four-by-four vehicle can respond immediately. In his five years as an ERV, Jean has been called out to help hospital staff get to work during snow storms, support families who’ve lost everything due to flooding or a fire in their home and was one of the first on the scene at the Grenfell Tower fire just hours after it happened. 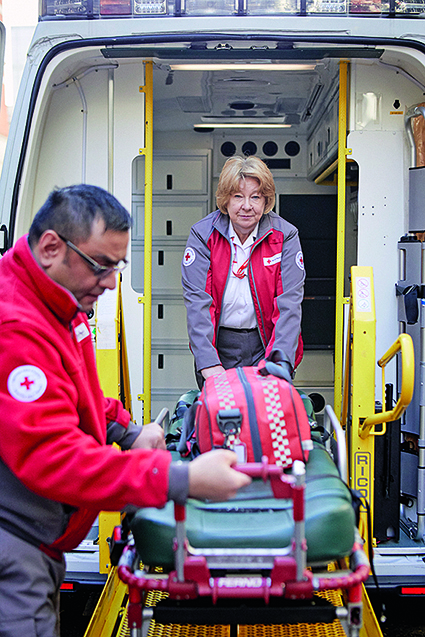 The British Red Cross runs on donations – £200 million last year. People who donate £5,000 or more are in a league which James Boyle, the head of philanthropy and events, is in charge of. 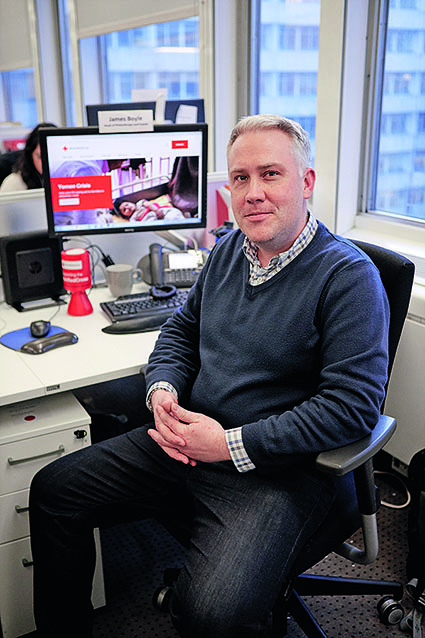 “As part of our fundraising and to help to get our message across and inspire donations, we’ve held events such as a concert at St Paul’s Cathedral with a gala dinner and a talk at the House of Lords on our international work around health.” His team works with Red Cross ambassadors such as Ben Fogle, Victoria Pendleton and Jason Isaacs on campaigns. Today’s work focuses on aid to Yemen. up a logistics team with experts who get aid to those in need. 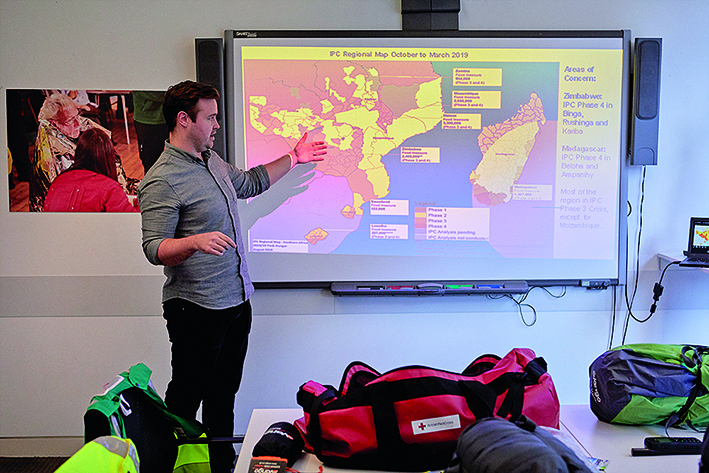 In the aftermath of a big emergency, such as the food crisis in Zimbabwe or the earthquake in Syria, he and the team assess what needs to go where. Tents, cooking equipment, water-purifying tablets, insect repellent and toiletries are some of the goods needed, which arrive as gifts or are bought and stored at the main Red Cross warehouses – in Northamptonshire, Dubai, Harare and Panama – until needed. 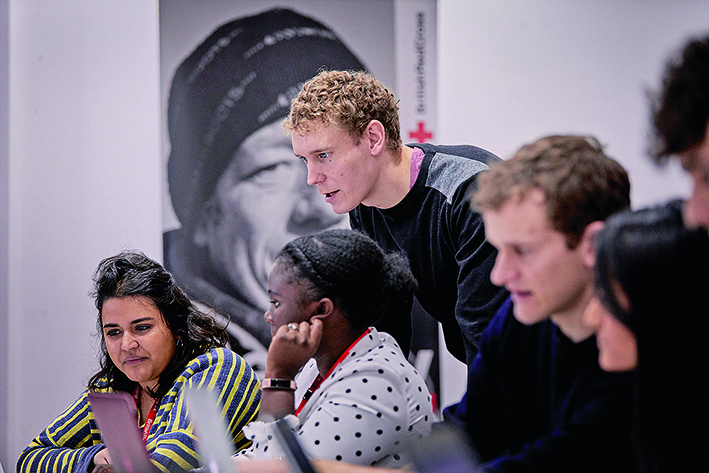 The British Red Cross is the UK’s largest independent provider of support to refugees and people seeking asylum. and help vulnerable people who need aid in the event of disasters, which displace or affect 200 million around the world each year. Missing Maps was born to plug the gap. It’s a collaborative project by the Red Cross, with the Humanitarian OpenStreetMap Team and Médecins Sans Frontières. Here, Alex Ballard of the Missing Maps team coordinates a ‘mapathon’, where volunteers bring their own laptops and help to map unmapped areas. They view large satellite images projected on to a screen to show the progress they’re making together. 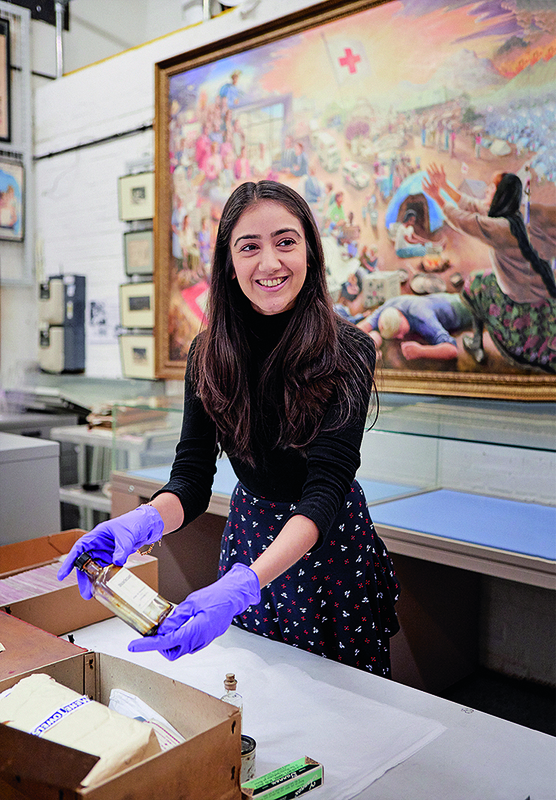 Mehzebin Adam, the curator of objects at the British Red Cross Museum and Archives, handles a medicine bottle from a kit issued to Red Cross Voluntary Aid Detachments – civilians providing nursing care for the military during the world wars. One volunteer’s name jumps out – Agatha Christie. Years before she became a crime writer, she worked in the dispensary of a Red Cross hospital in Torquay – her volunteering record card, in the archive, shows she was there throughout the Great War. 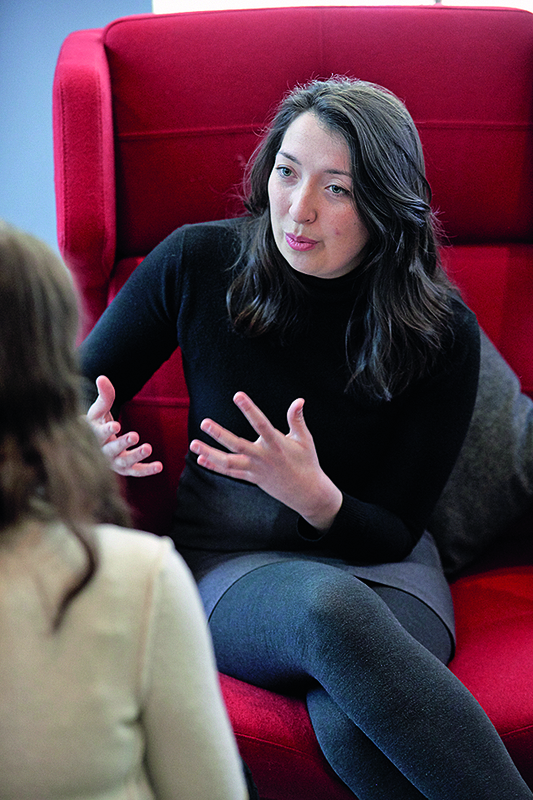 She said it was while working in the hospital apothecary that she learnt about poisons as well as medicines – knowledge she used in her murder stories. Heritage manager Dr Alasdair Brooks stands before the Red Cross’s Royal Charter, which is signed by the monarch and gives an organisation particular rights. “The collections contain every Royal Charter granted to the society since the first one, in 1908. 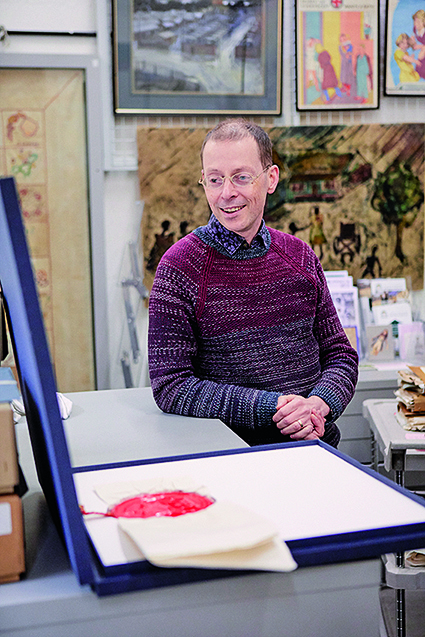 The most spectacular is undoubtedly the current document, from 1998, which is stored in a special presentation box, complete with the formal wax Royal seal of our patron Queen Elizabeth II,” he says. Hanging behind Dr Brooks is a Changi quilt. Made by women who were interned in Changi Prison, Singapore, by the Japanese in World War Two, the quilts were hand-embroidered with secret messages and hidden meanings. to learn first aid, at more than 150 centres across the country. From pensioners and teachers to childcare workers and corporate health and safety, the Red Cross is the go-to provider. 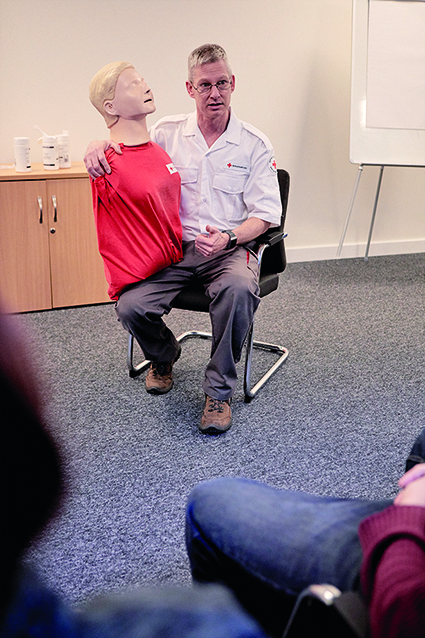 “We believe first aid is the most important lesson you can learn,” explainss Jeff Bryan, a British Red Cross trainer, who uses a dummy called ‘resuscitation Annie’ to teach techniques. 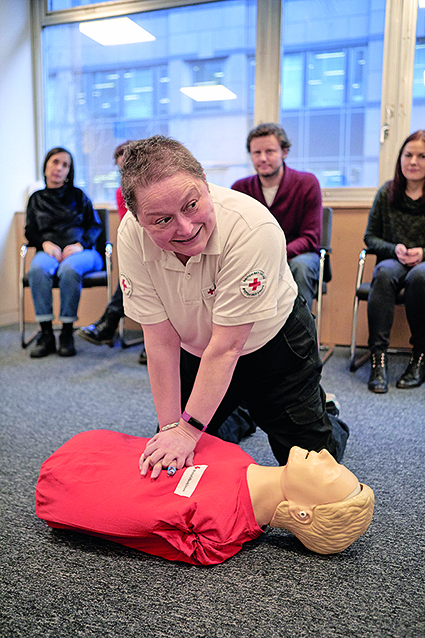 The trainers teach the public the knowledge, confidence and willingness to intervene in three potentially life- threatening first-aid emergencies: helping someone who is heavily bleeding; helping someone who is unresponsive and bleeding; and helping a person who is unresponsive and not breathing. 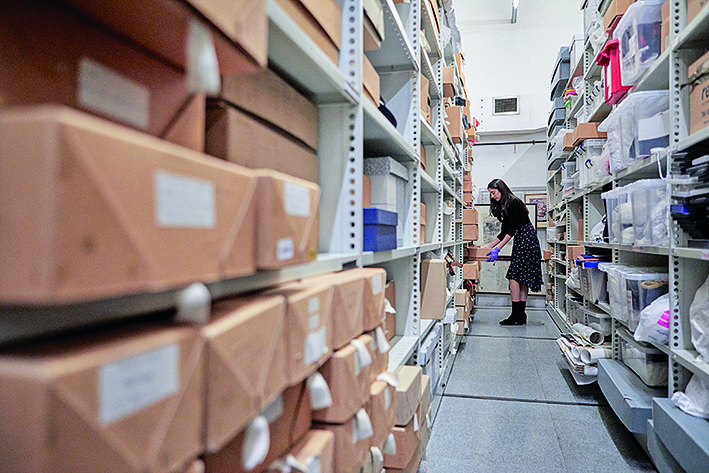 Mehzebin Adam files objects in the archive, which holds 56,000 items related to the organisation’s life- saving work. It is one of the largest collections of items of any Red Cross national society in the world. In October last year, the archive’s collection was made available online to the public for the first time.